Strawberry S'mores Tartlets just in time for Valentine's Day! These mini dessert tarts are perfectly sized for an individual dessert treat fancy enough to serve for a special occasion such as Valentine's Day, yet easy enough to make any night of the week! Recently I was fortunate to participate in a LIVE Sunday Supper event in Plant City, FL, the Winter Strawberry Capital of the World, with the Florida Strawberry Growers Association and several of my Sunday Supper family members. It was truly a spectacular weekend! We were treated to a relaxing stay at the Guy Harvey Outpost Tradewinds Beach Resort in St. Pete Beach, FL and enjoyed fabulous dining experiences at some of the area's best eats such as family-style dining at Oggi Italian, and RumFish Grill where we dined right next to the fish swimming in the 33,500 gallon aquarium that encompasses an entire wall of the dining room! In addition to filling our bellies, we learned all about Florida Strawberries while touring many acres of beautiful strawberry farms. The strawberry growers welcomed us on a beautiful Florida day to share their vast knowledge of growing strawberries in Florida. It was picture perfect! In addition to learning all about how Florida strawberries are grown, we also learned how they get to the stores for us to enjoy and how best to store them. Did you know strawberries are only handled once?! At the time they are hand-picked they are put right into the clam-shell container we buy in the store. Once picked they go right to the chiller facility to spend time cooling down, and then they are shipped out the very same day to ensure the freshest product makes it to the store. I like that! Sue also shared it is best to store strawberries in the refrigerator with the hulls in tact and unwashed. 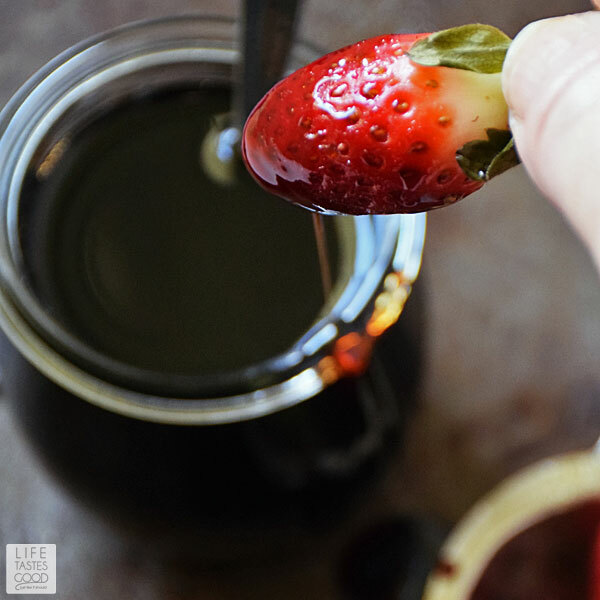 Once you remove the hull and wash the strawberry you introduce water and water shortens the life of the strawberries and waters down the flavor of the berry. Sue recommends washing, drying, and removing the strawberry hull right before serving. This is valuable info, because I always have strawberries in the house during Florida strawberry season and want to keep them as fresh and tasty as possible! 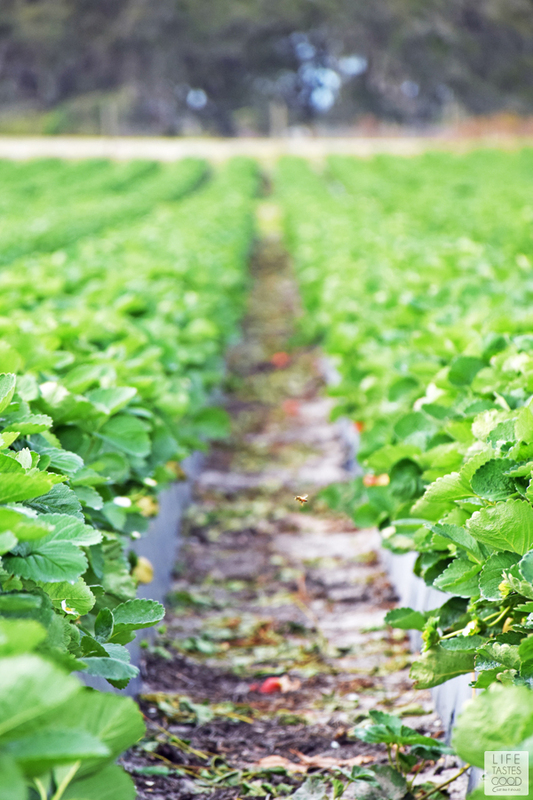 Does romping around in the Florida strawberry fields sound like fun to you?! How about a FREE Florida getaway with your family? There's still time to enter the Florida Strawberry Cap contest, but don't delay, this contest ends on February 12, 2017 at 11:59 p.m. I am BERRY excited at the possibility that one of YOU might win a Florida Getaway with your family! 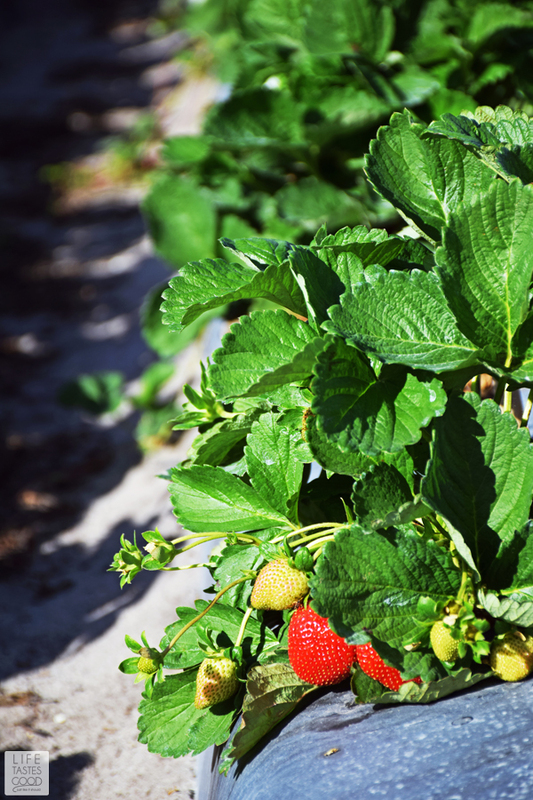 Show us your best Florida Strawberry picture for a free Florida Strawberry cap and a chance to win a trip to sunny Florida! 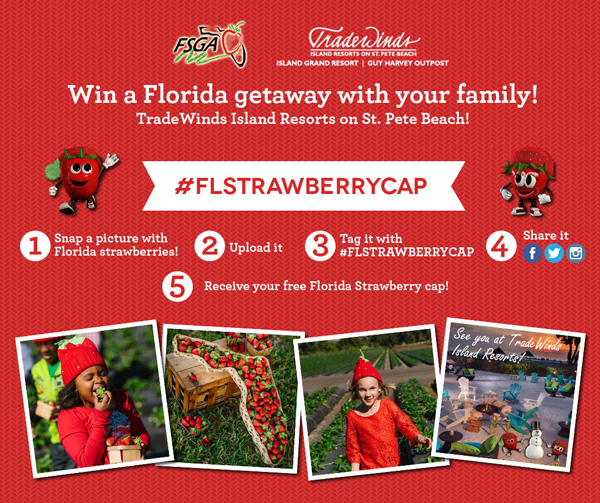 Click here to enter > Florida Strawberry Cap Contest. It’s easy. I promise!! Also, you can check out all the other photo entries at that link! Click here to read the > Official Rules. 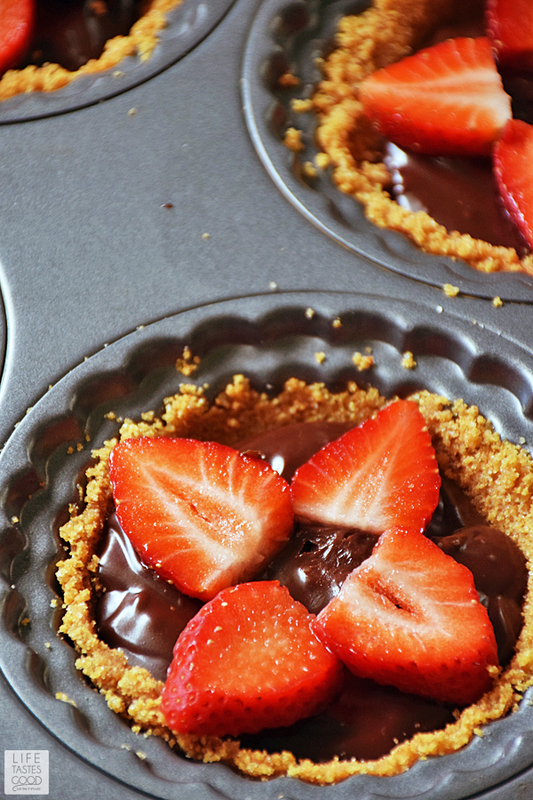 Fresh Florida strawberries make the best treats, and as soon as I got home I put my beautiful berries to work in this these Strawberry S'mores Tartlets. This sweet treat is easy to make and an elegant twist on classic s'mores that you can make right in your kitchen. Such a nice time saver when you don't have to get a fire going outside! These mini tarts make an impressive presentation, no doubt, but the real beauty is in the taste. 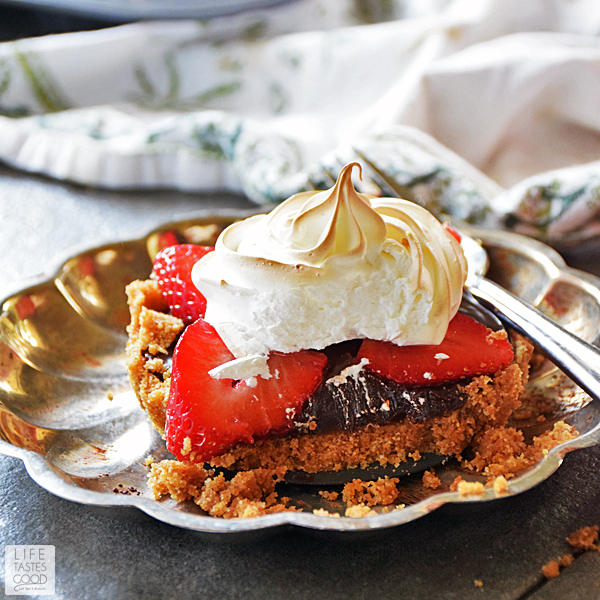 You can't go wrong with the classic flavor combination of graham crackers, chocolate ganache, and homemade marshmallow meringue, but this dessert takes it to another level with the addition of fresh Florida strawberries. It is such an elegant treat perfect for special occasions like Valentine's Day. I hope you enjoy this dessert as much as we do. I make these s'mores tartlets in a four cup tartlet pan. I like the individual servings and the ease of making these all in one pan with bottoms that lift out for easy serving. You can also make this in a regular tart pan with removable bottom. 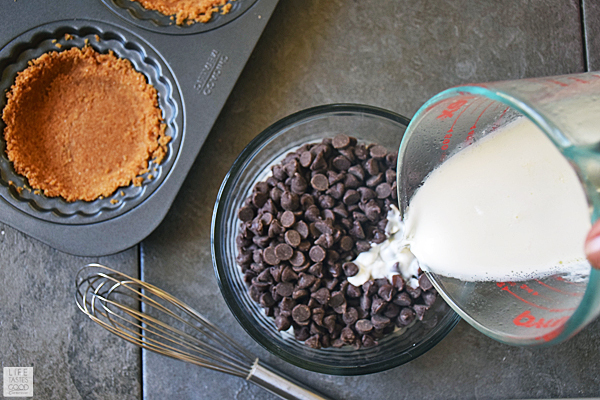 Prepare the graham cracker crust first and press into tart cups. I use a flat bottomed cup to tamp down the crust. 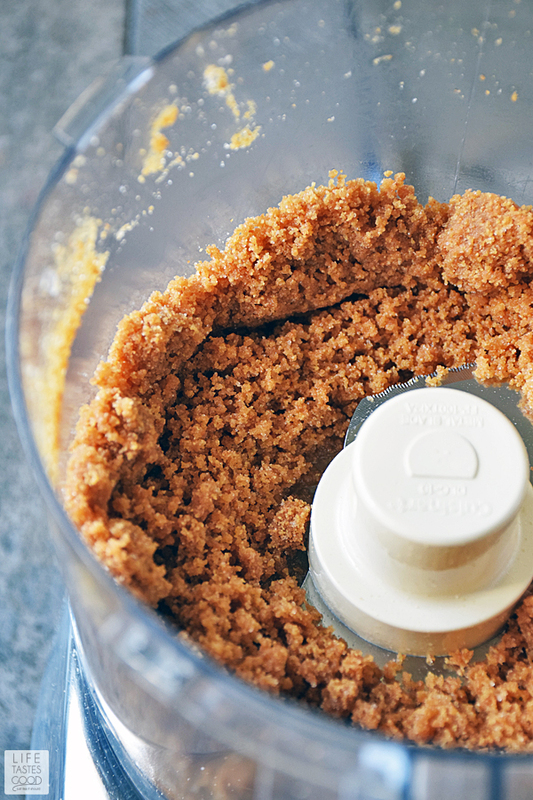 A food processor makes quick work of preparing the crust. Next make the chocolate ganache by heating the heavy cream in a microwave and simply pour it over the chocolate chips in a bowl and stir until smooth. I like my chocolate salted, so I add a pinch of salt and then pour the ganache into the tart pans trying to divide it evenly among the 4 cups. Chill for about 30 minutes in the fridge until chocolate is set or until you are ready to serve. You can make ahead early in the day or day before up to this point. When ready to serve, slice the strawberries first and arrange on top of the chocolate ganache. Then prepare the marshmallow meringue per the directions. The cream of tartar is an important ingredient to stabilize the egg whites so you can whip them into the meringue that holds. Use a kitchen torch like this one to toast the meringue. Not only does it look pretty, but it also gives it that slightly roasted marshmallow flavor we love when enjoying s'mores. Refer to my how-to recipe photo tutorial below for visual help with the recipe. 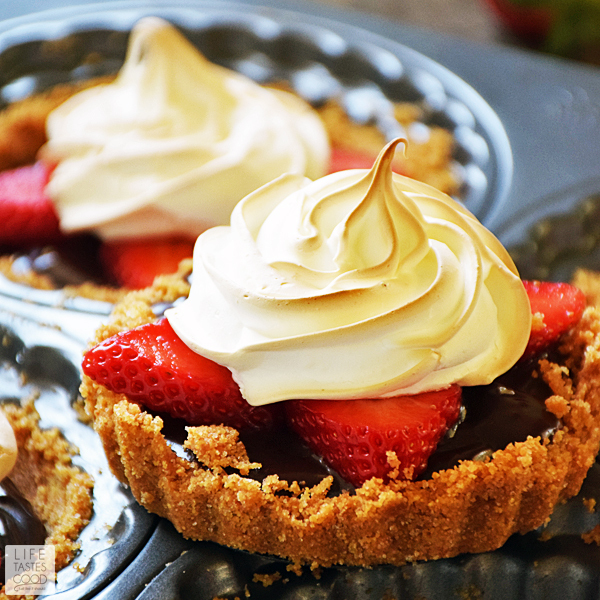 Strawberry S'mores Tartlets just in time for Valentine's Day! An elegant dessert with a favorite classic flavor combo. No fire needed! 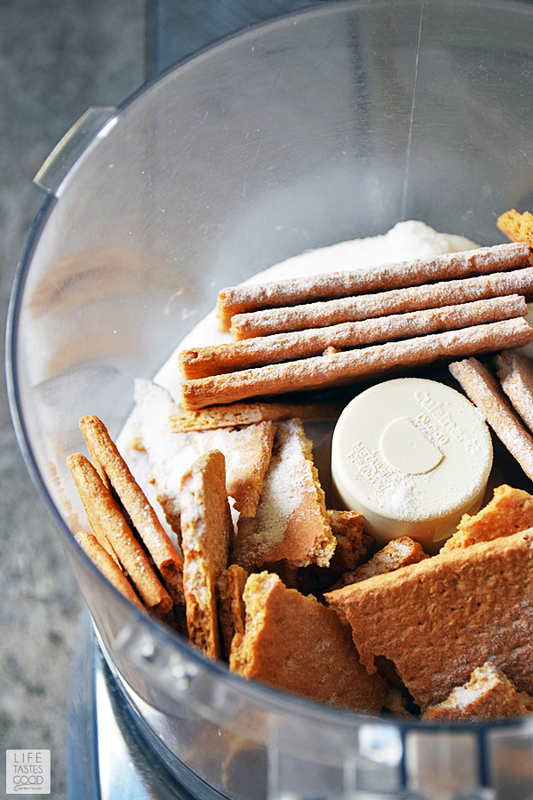 In the bowl of a food processor, pulse a sleeve of graham crackers with 1/3 cup sugar until you make fine crumbs. Add 6 tablespoons melted butter and pulse until combined. Spoon graham cracker crumb mixture into a 4 cup tartlet pan with removable bottoms. I use a small bottomed cup to tamp down the graham crackers. Set aside until ready to fill with chocolate ganache. 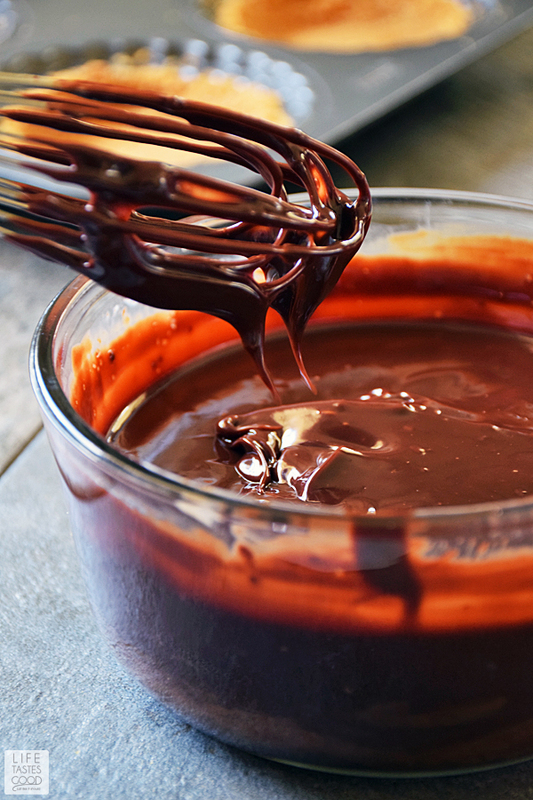 Make the chocolate ganache: Heat 3 ounces heavy cream in a microwave safe bowl. I use the measuring cup I measured it in. You want this fairly hot. Microwave until it starts to bubble or heat on the stove top until it just starts to boil. Pour the hot cream over 6 ounces of semi-sweet chocolate chips and stir until smooth. Add a 1/4 teaspoon of kosher or sea salt and stir to combine. Give it a taste and add more salt as desired. 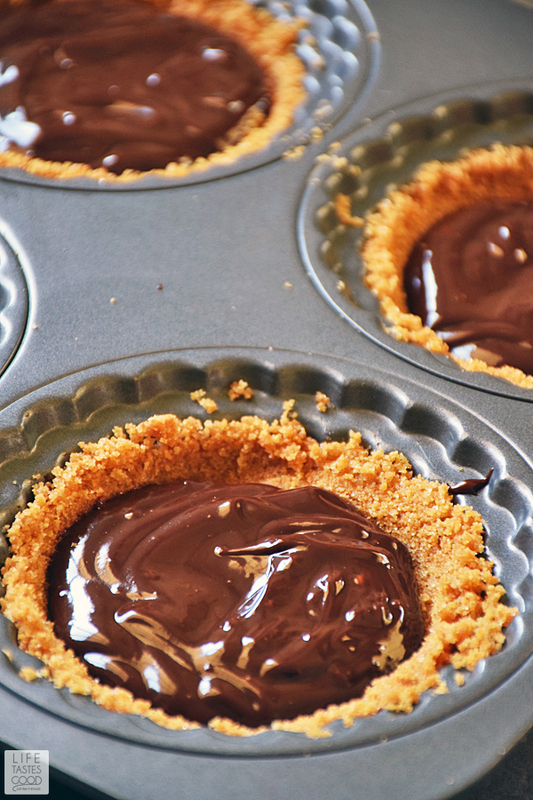 Pour the chocolate ganache into each tart cup, dividing evenly among the 4 tart cups. Refrigerate for at least 30 minutes or until ready to serve. 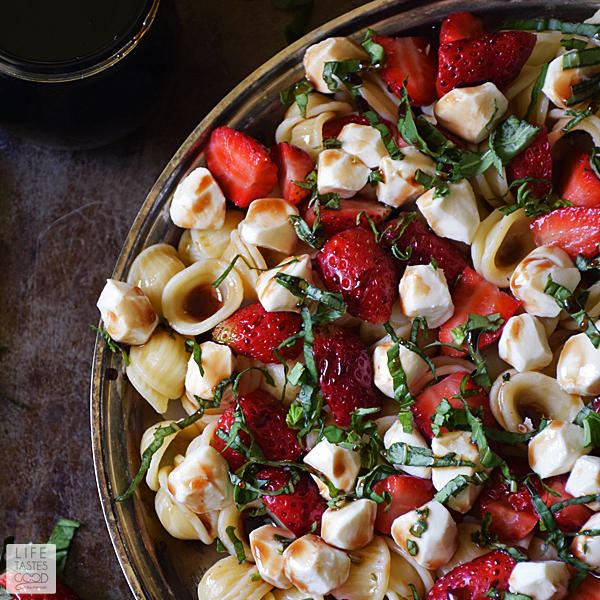 When ready to serve, slice the strawberries and set aside. Mix 2 egg whites, 1/2 cup sugar, and 1/8 teaspoon cream of tartar in a heatproof bowl - I use the metal bowl of my stand mixer. Set the mixing bowl over a saucepan with simmering water and whisk constantly until the sugar is dissolved. 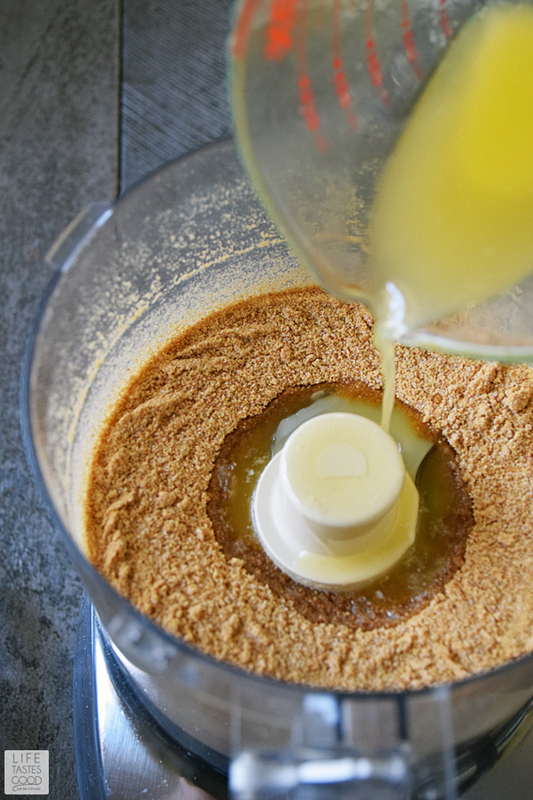 Check to make sure the sugar is completely dissolved by rubbing a bit of the egg mixture between your fingers. 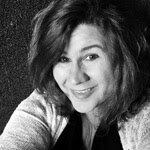 It should not feel grainy. Keep whisking until all the graininess is gone. We aren't trying to scramble the eggs here, so be careful with the heat. Once all the sugar is dissolved, remove from the heat, and beat the egg whites using the whisk attachment. Start the mixer out on a lower speed and once the egg mixture starts to thicken switch it over to high speed. Beat until the mixture forms stiff, shiny peaks - about 5-8 minutes. The amount of time it takes to form stiff peaks will vary depending on the speed of your mixer. 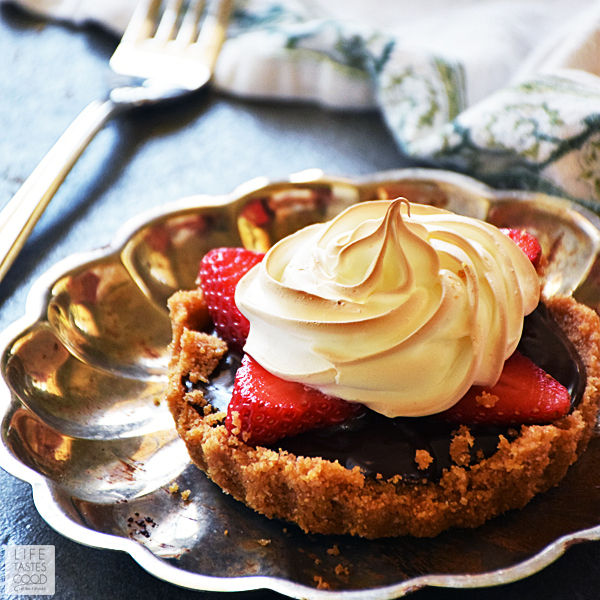 Assemble the tarts by arranging 4 strawberry slices on top of the chocolate ganache and top with a piping of marshmallow meringue on each tart. 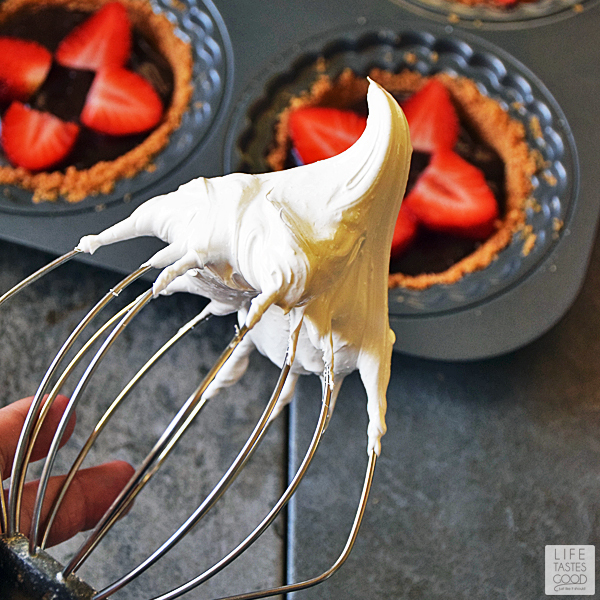 You can also use a spoon to dollop on the marshmallow meringue. Using a kitchen torch, toast the marshmallow meringue if desired. Serve and enjoy! I attended the events in Tampa as a guest of Sunday Supper and the sponsors. I'd like to thank them for inviting me to participate in this amazing event. As always, all opinions are my own. Oh Marion! Those look so pretty and delicious! Oh my goodness, these look SO good! I hope I get to make these!